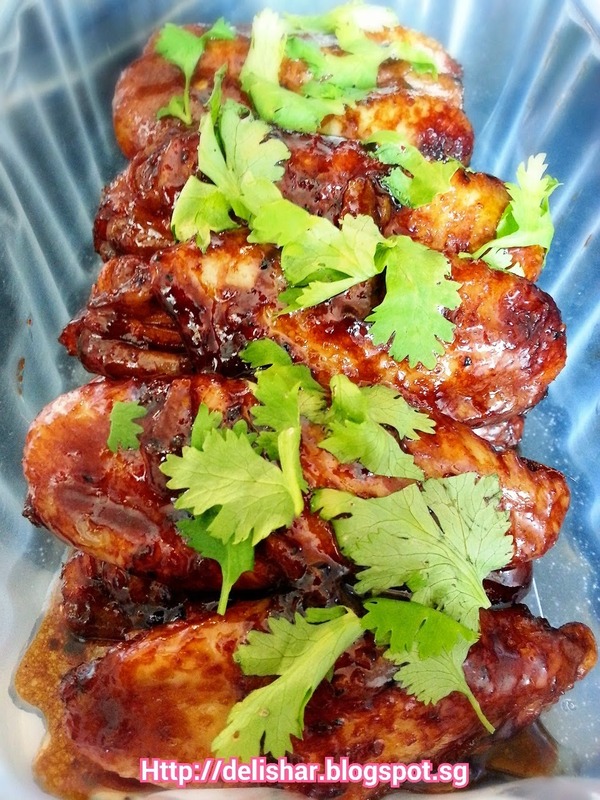 Marinate your wings in 1 tbsp light soy sauce, 1 tbsp dark soy sauce, a little bit of salt, and pepper to taste. Heat pan on med high until smoking hot, add 2 tbsp sesame oil and swirl to coat pan. Brown the chicken, DO NOT add in the marinade. Save the marinade sauce. It only takes a min to brown the chicken in the hot pan. Set aside. In the same pan, lower heat to med high, and add another tbsp of sesame oil. Pan fry the garlic, ginger, and chilli until fragrant. Now add chicken and bring to boil. Cover and let it cook for 10 mins. Remove lid and let the sauce reduce until a glaze consistency. Serve with some chopped parsley.